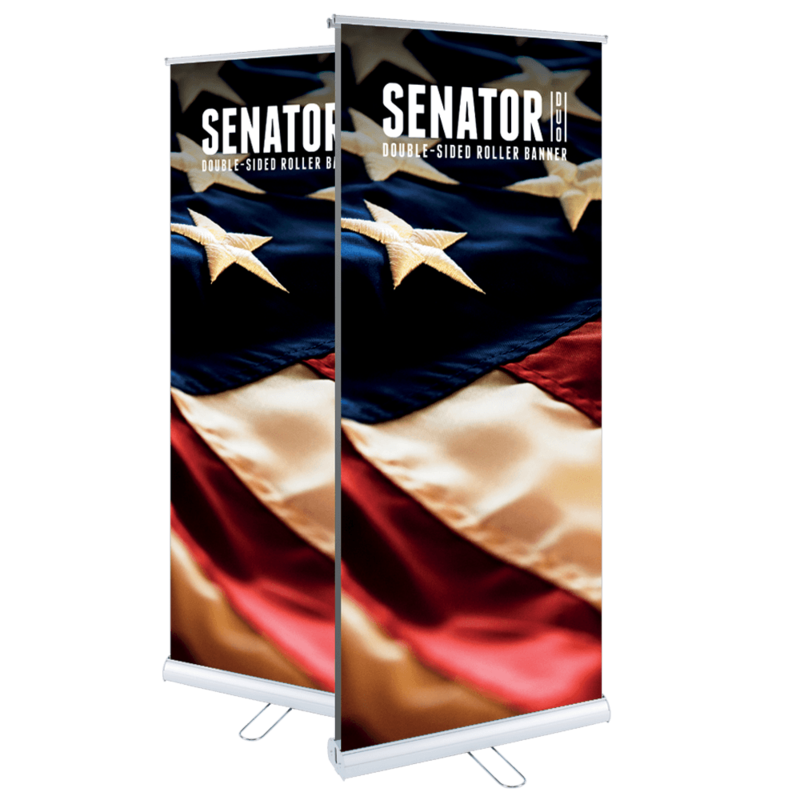 Senator Duo Roller Banner The Senator Duo Roller Banner is designed for double-sided display. You can feature your graphic on 400gsm anti-curl, anti-scuff, anti-glare SoFlat while enjoying its compact, ergonomic design. 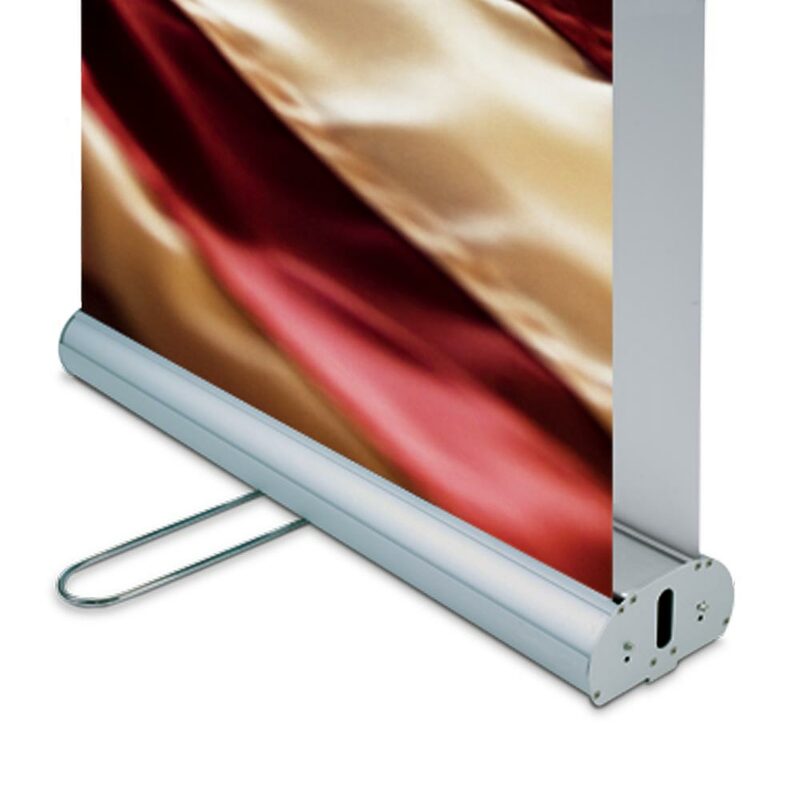 Showcase your message at trade shows, conventions, and a myriad of special events. The Senator Duo Roller has a twist-out foot for enhanced stability and comes with a durable bungee pole. Other premium features of the Senator Duo Roller include its large internal graphic housing, snap clip rail, and premium carrying bag. Perfect for use at retail centres, arenas, and airports, this roller banner delivers outstanding functionality at an affordable rate.